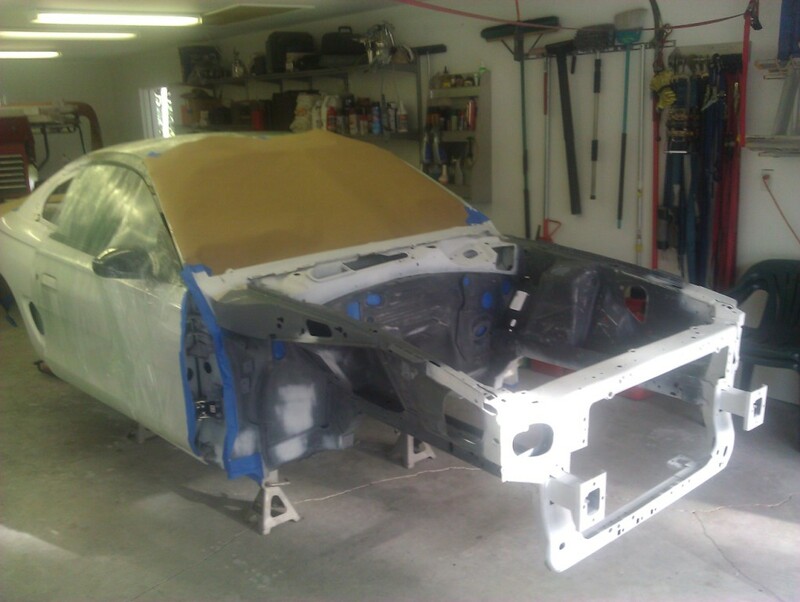 We are finally at the stage where its time to start making the car pretty and putting it back together. 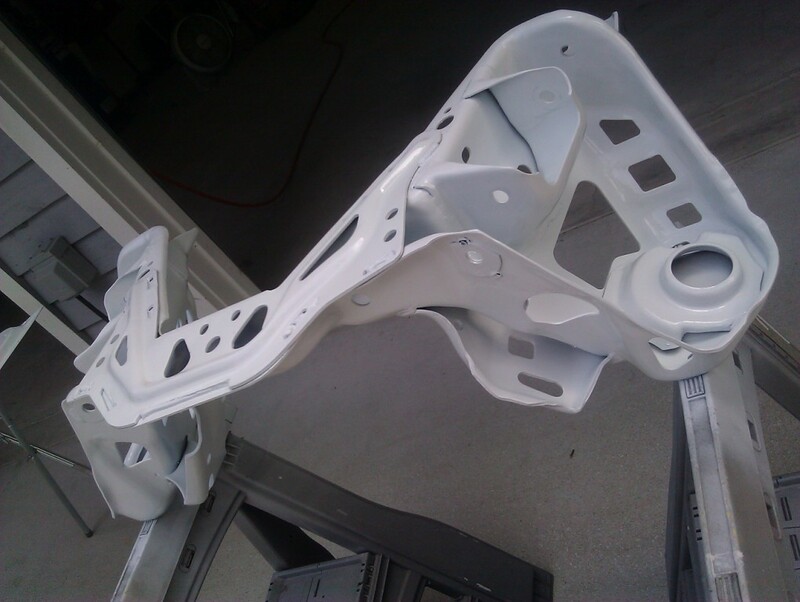 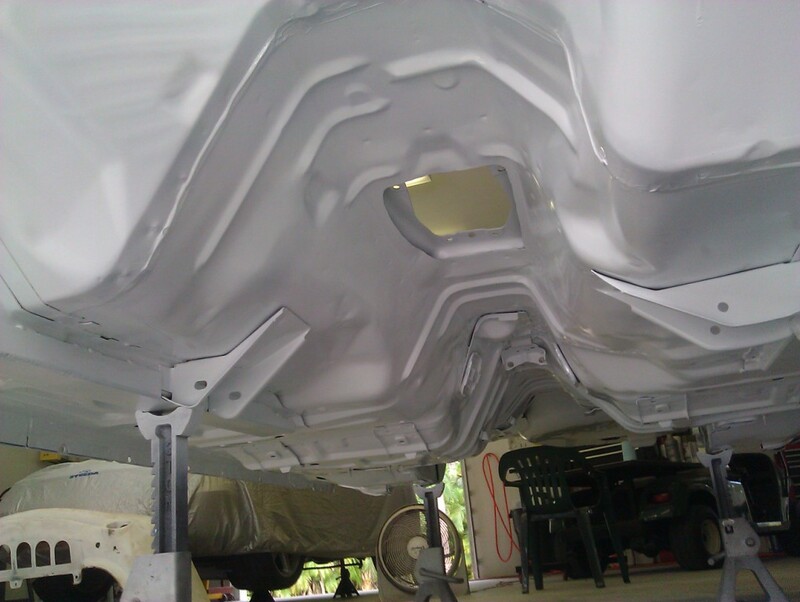 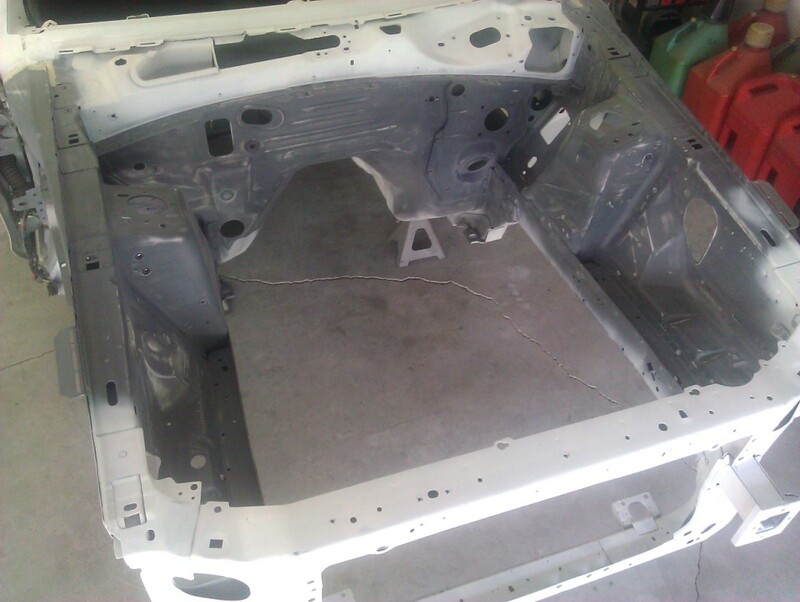 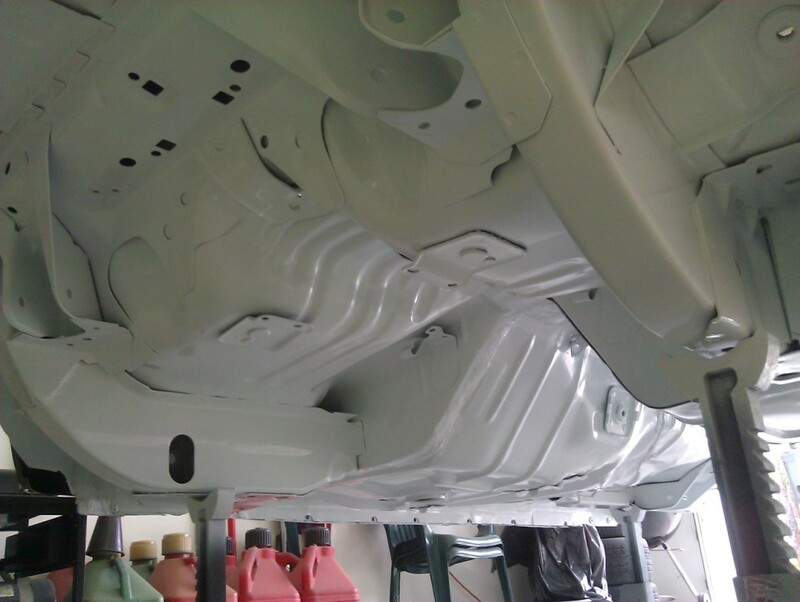 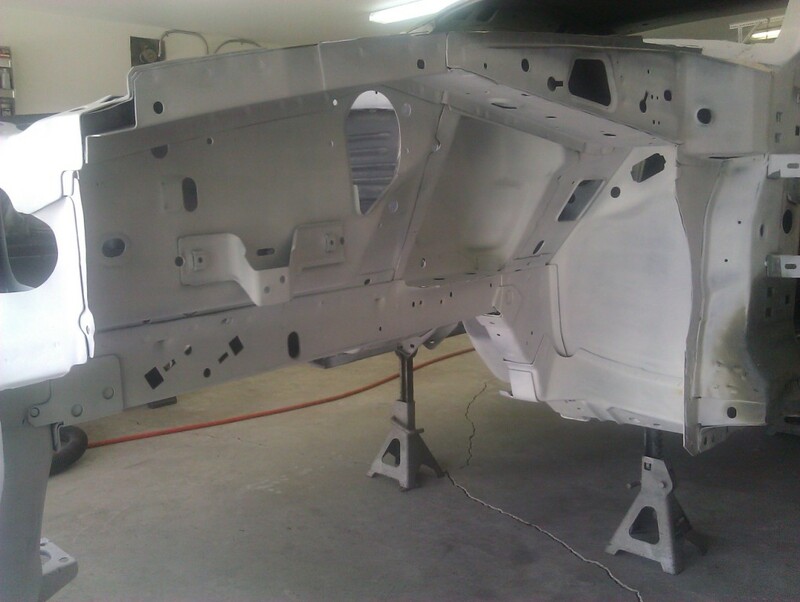 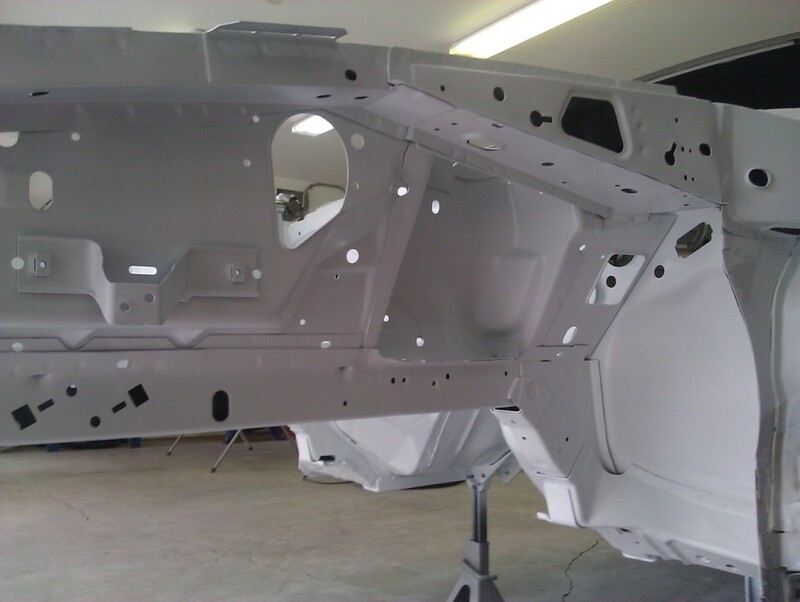 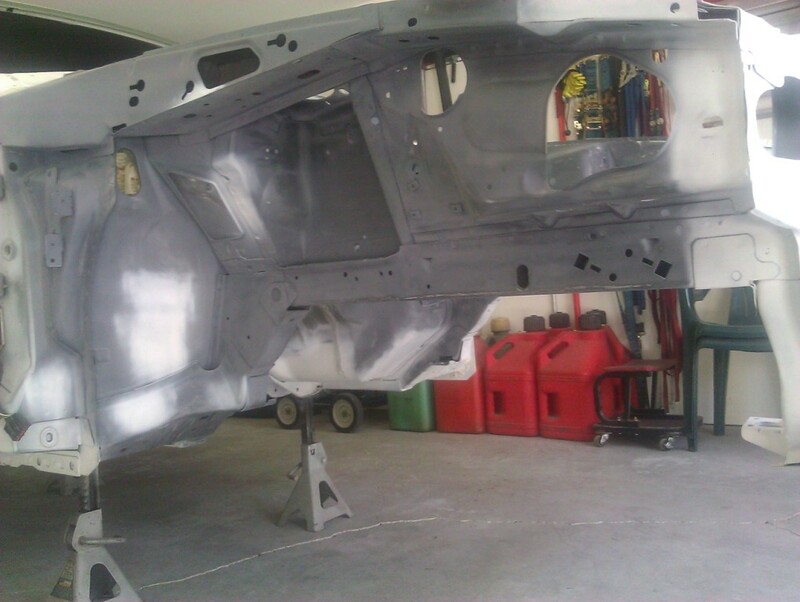 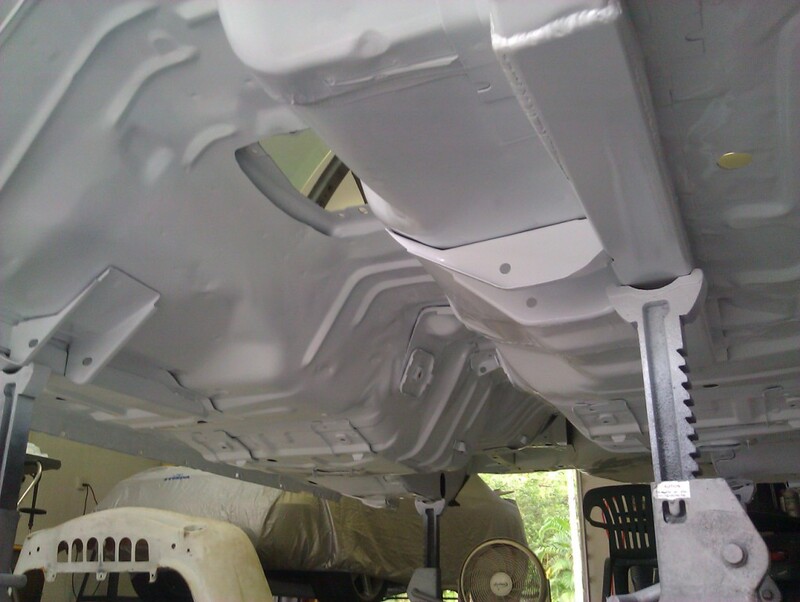 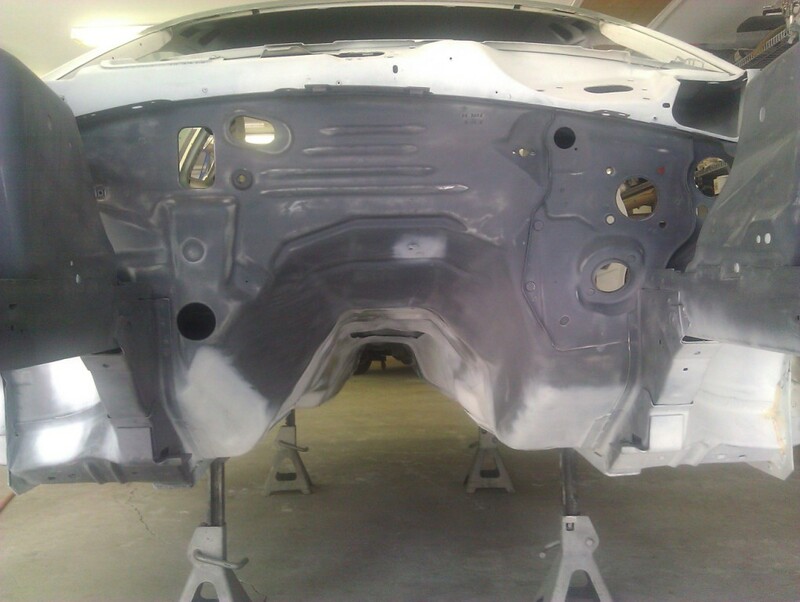 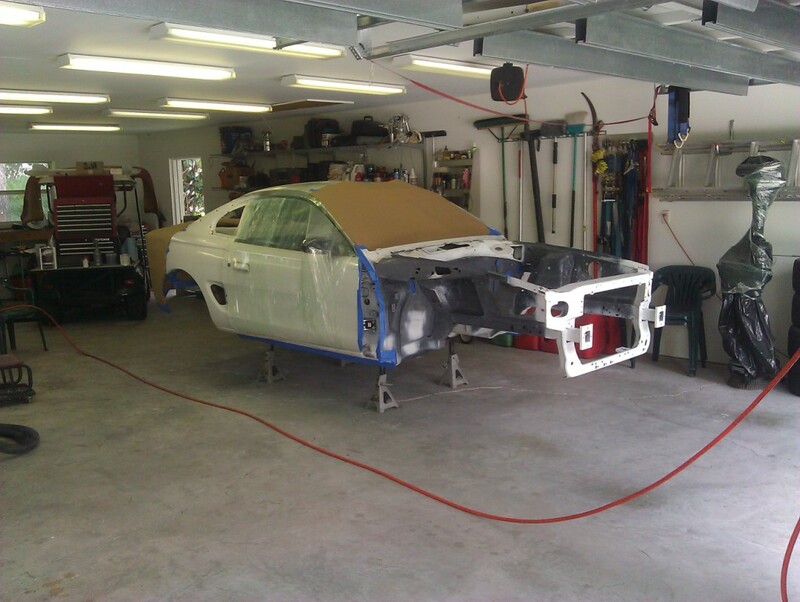 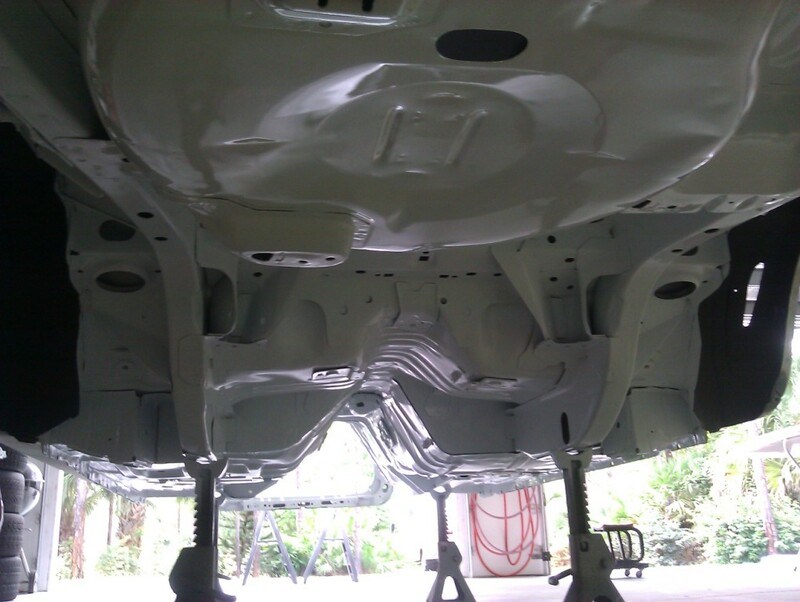 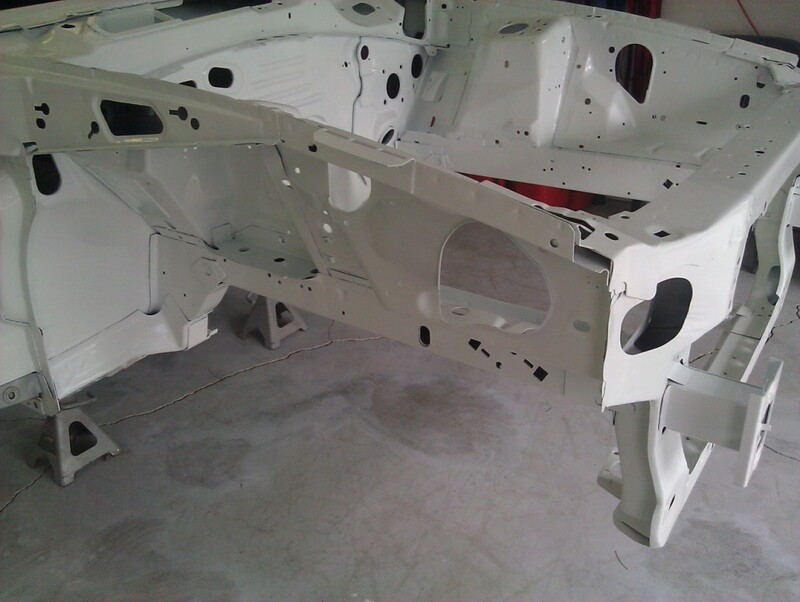 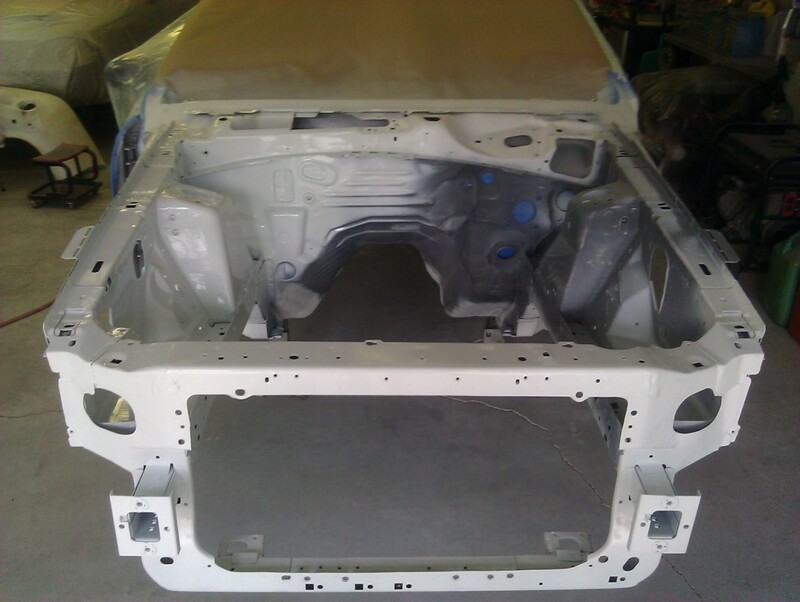 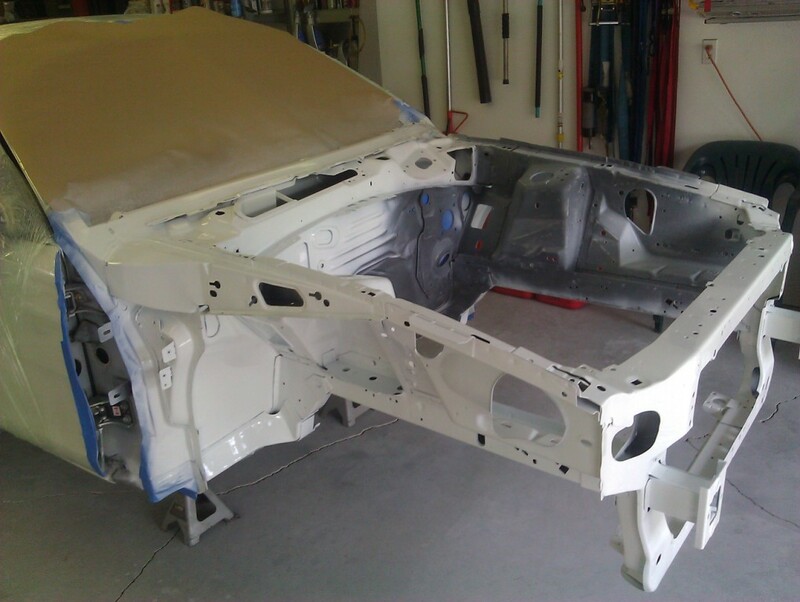 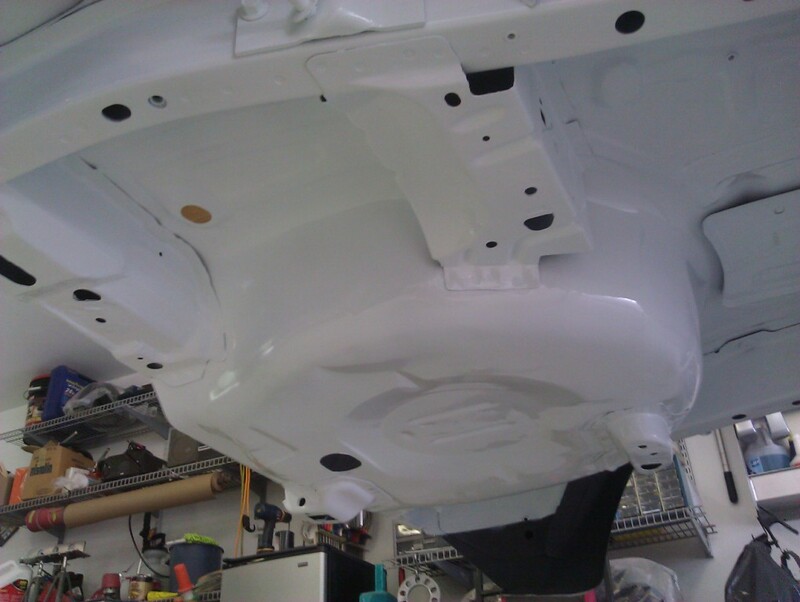 The final act in getting the underside of the car ready for paint is gathering all the parts, preparing all the surfaces, blowing out all the crevices, vacuuming all the dust, wiping down the surfaces and protecting surfaces that you don't want painted. 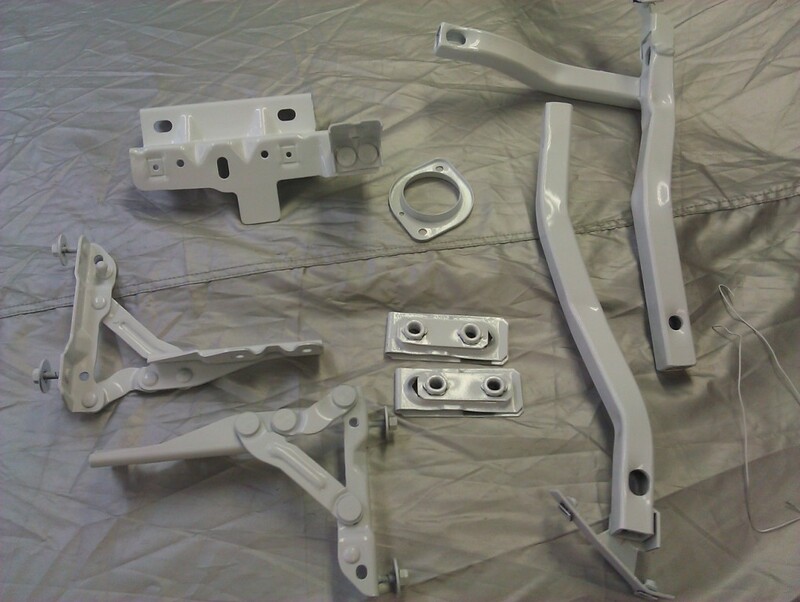 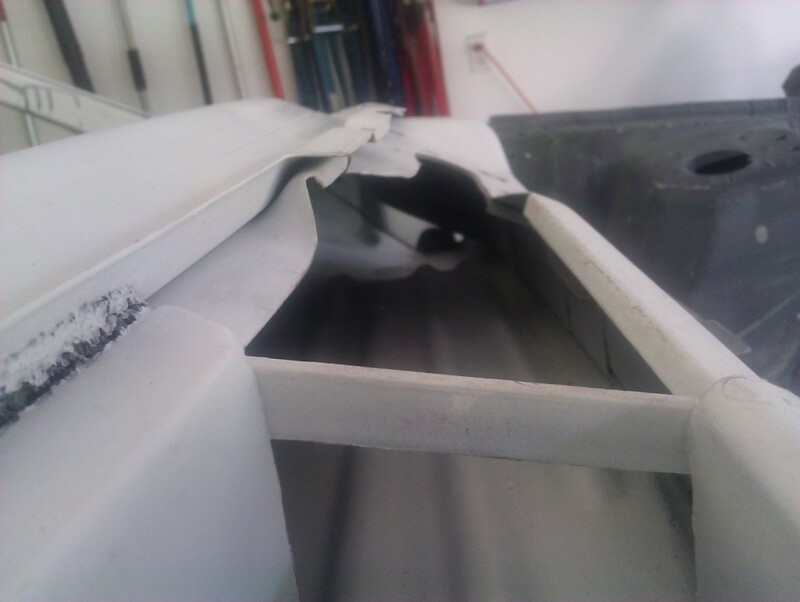 Parts to be gathered included the trunk lid, drivers door, K-member, Bumpers & brackets and assorted bits. 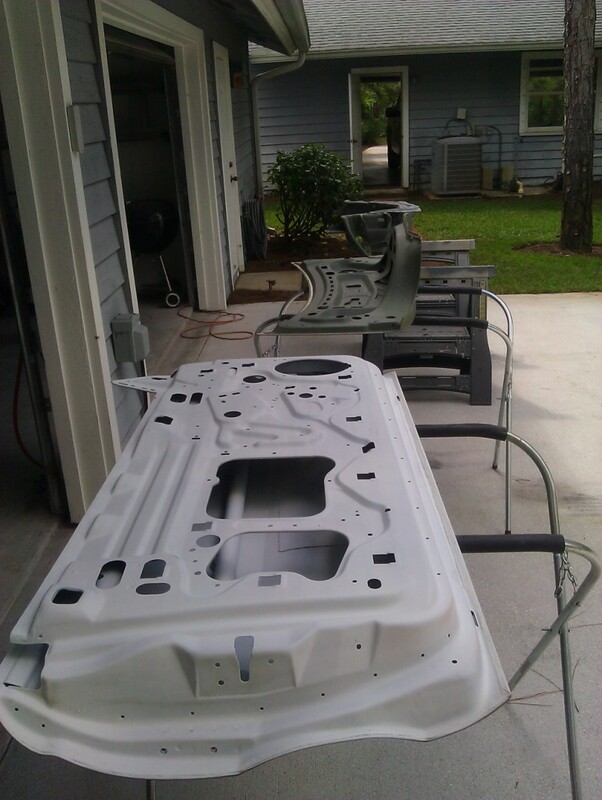 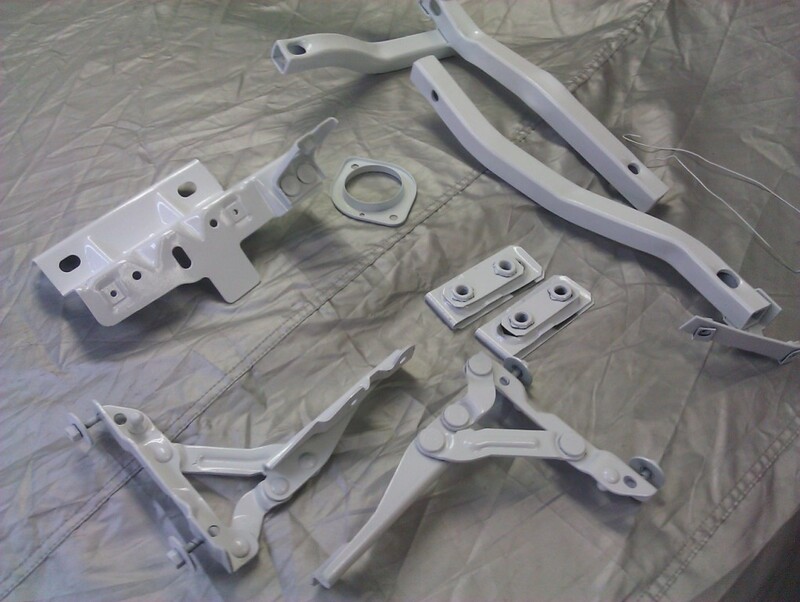 Now with everything finally ready, I can prep my new HVLP Suction-type spray gun, mix the Urethane paint, reducer & hardener, put on my charcoal filter and begin spraying the factory Ford Crystal White. 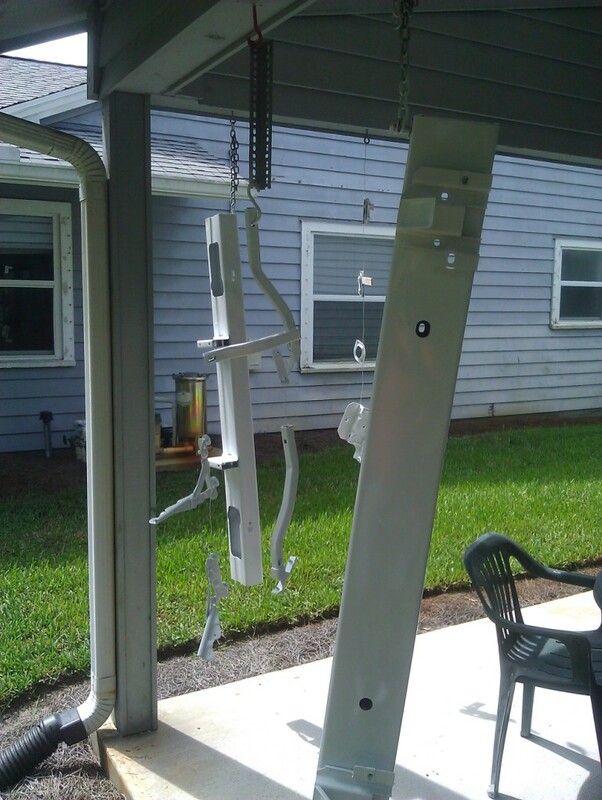 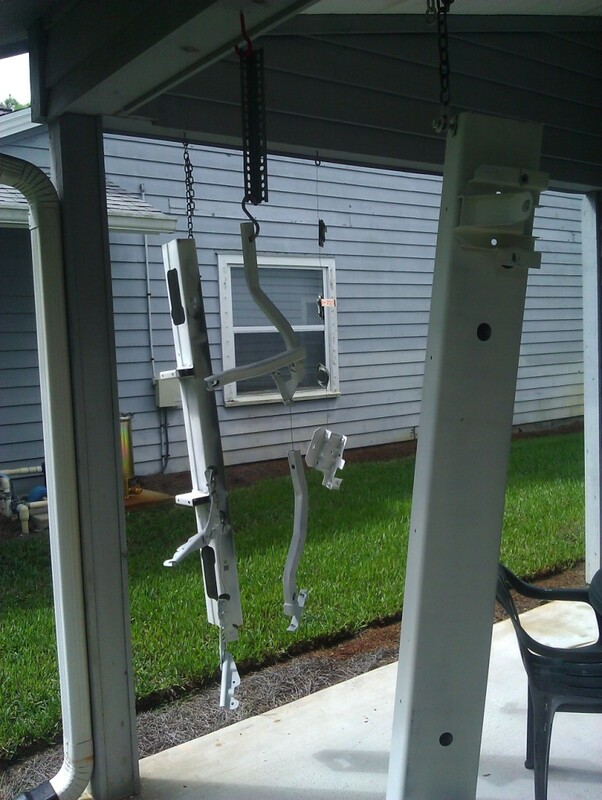 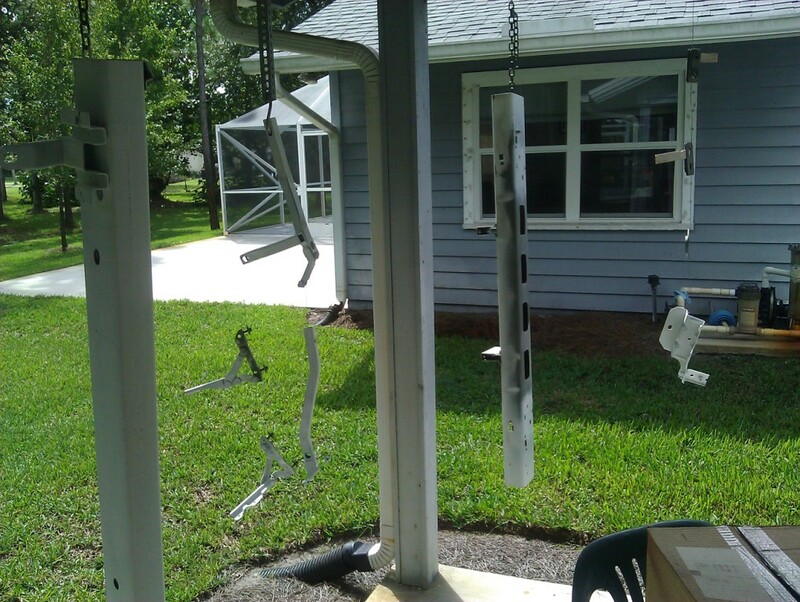 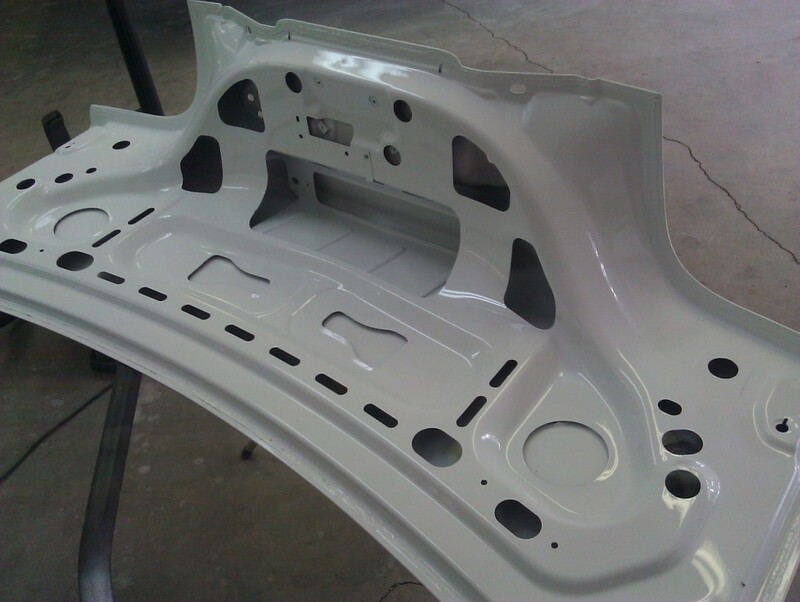 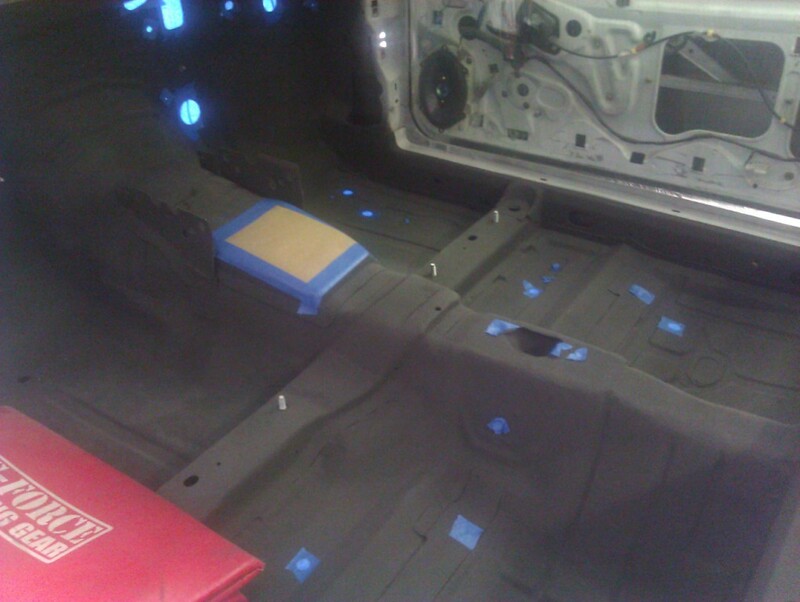 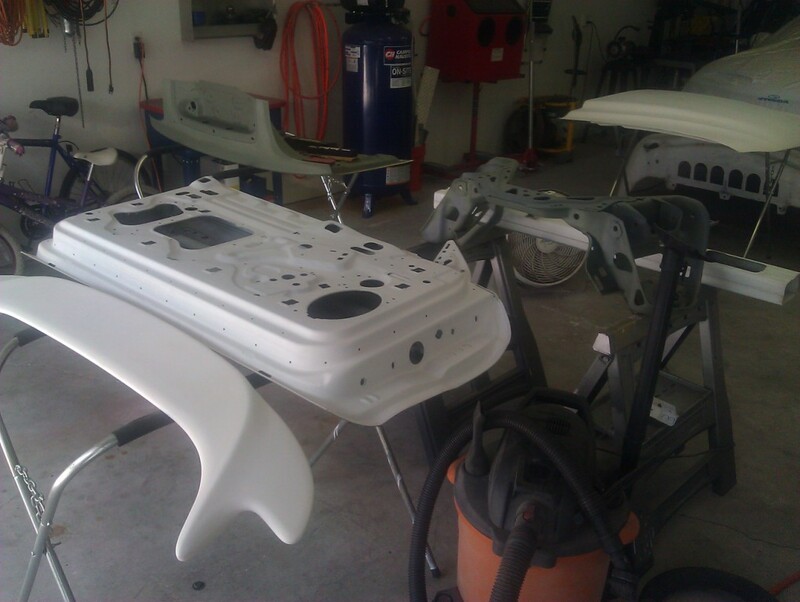 The first coats went on the bumpers and brackets. 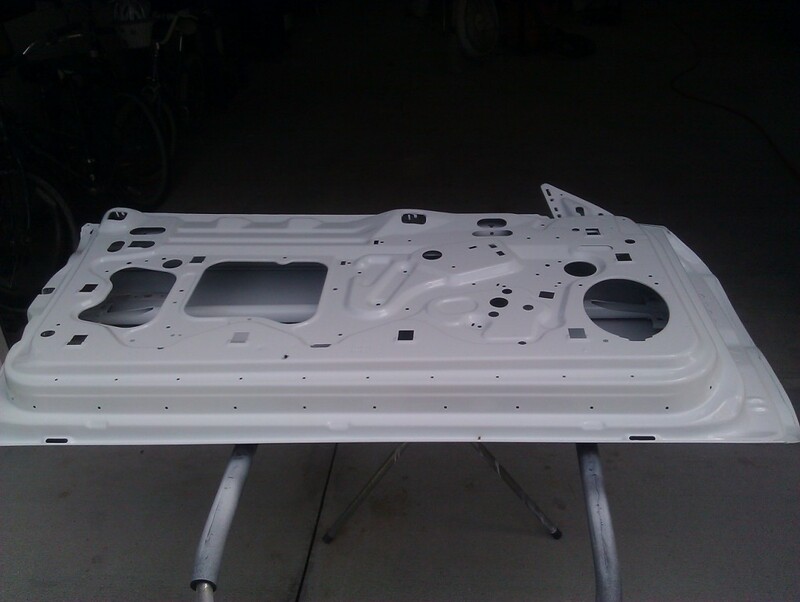 That allowed me to get a feel for the new gun on parts that no one will ever see. 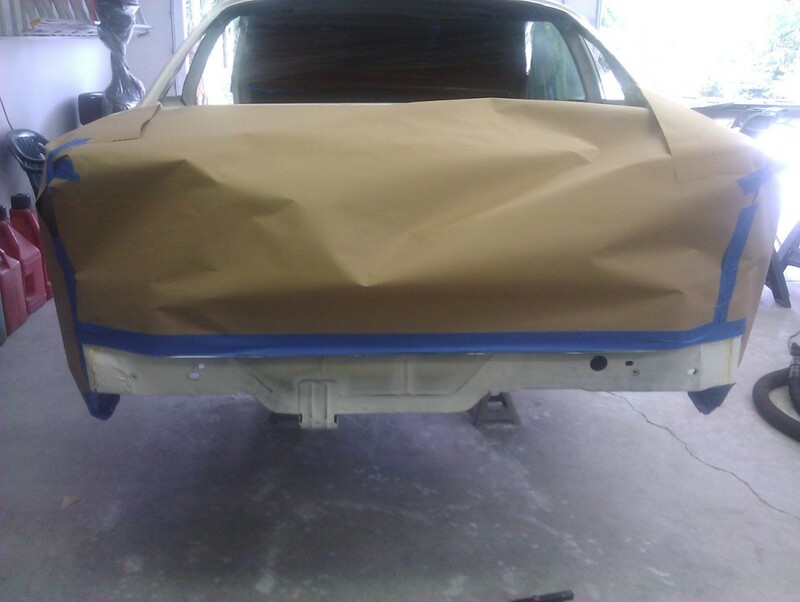 Next I gave a couple of coats to the K-member, door and trunk lid. 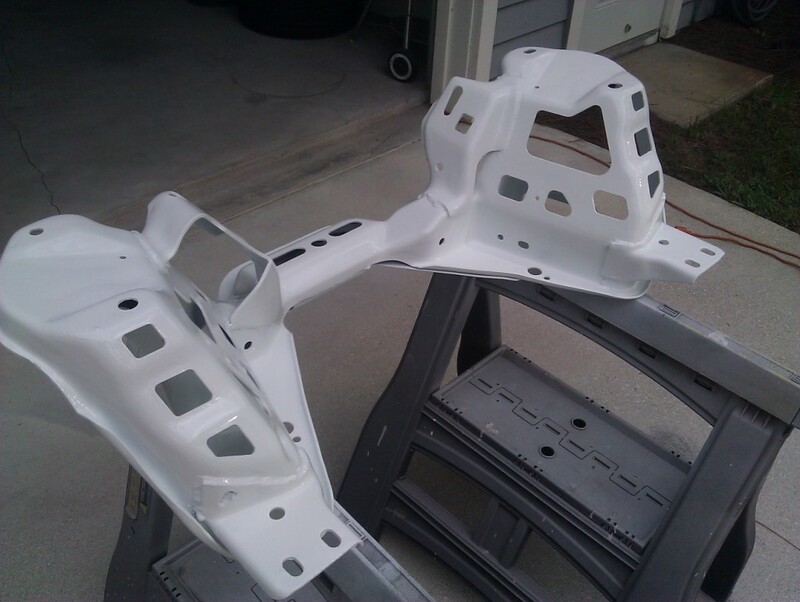 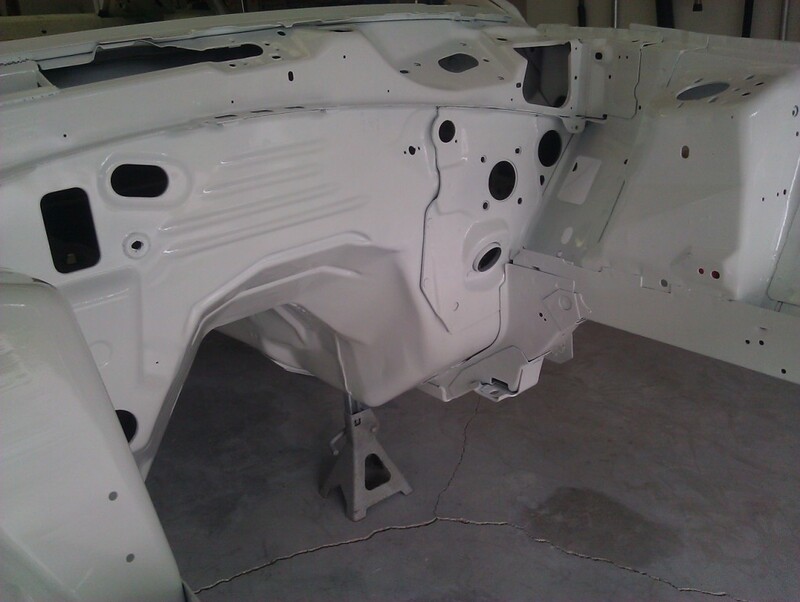 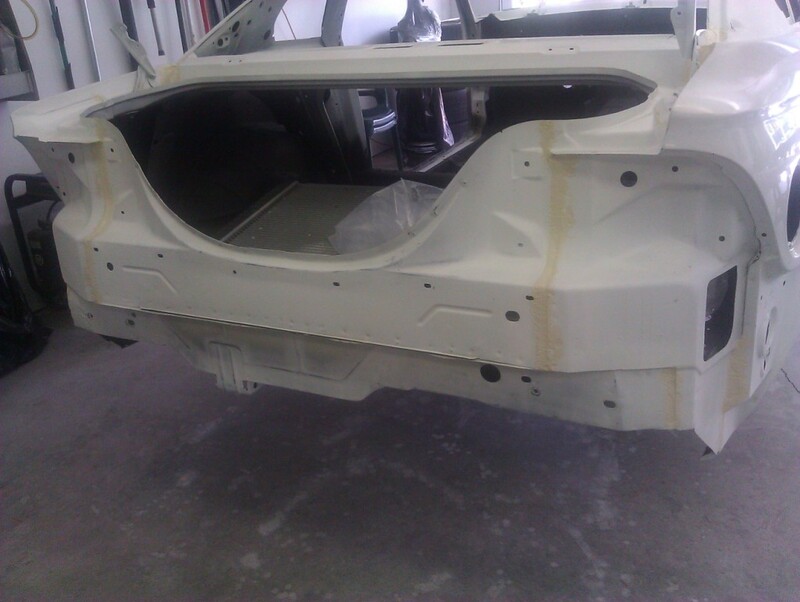 Once they were done, I began spraying the passenger-side inner fender and firewall. 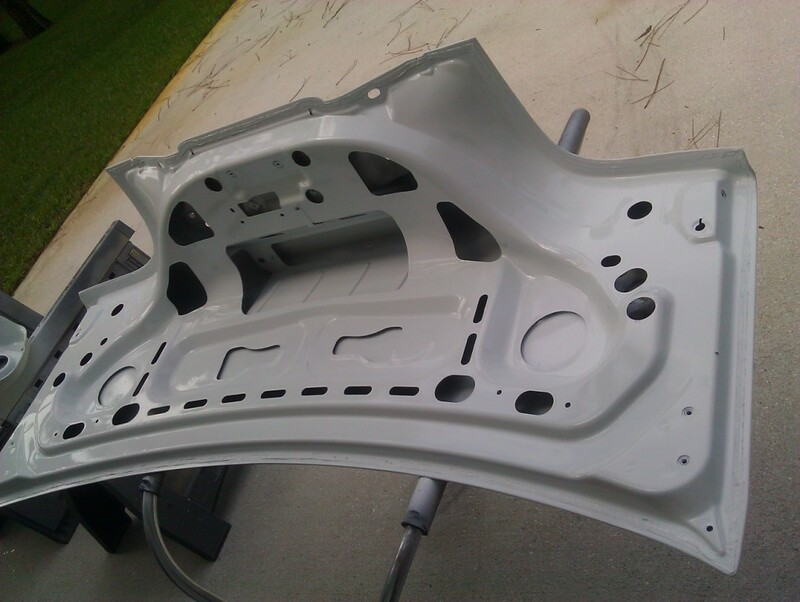 Then I ran out of paint. 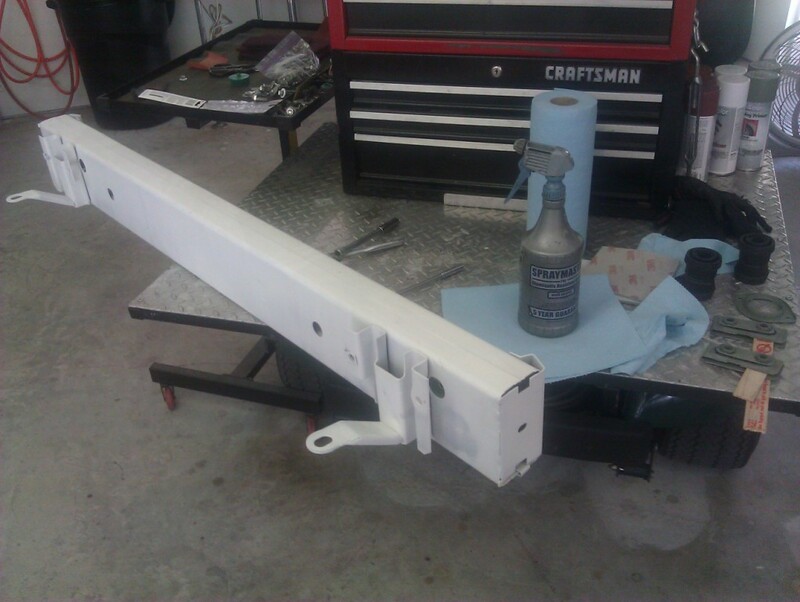 A quick trip to B&P Paints in WPB refilled my gun and I was ready to finish the job. 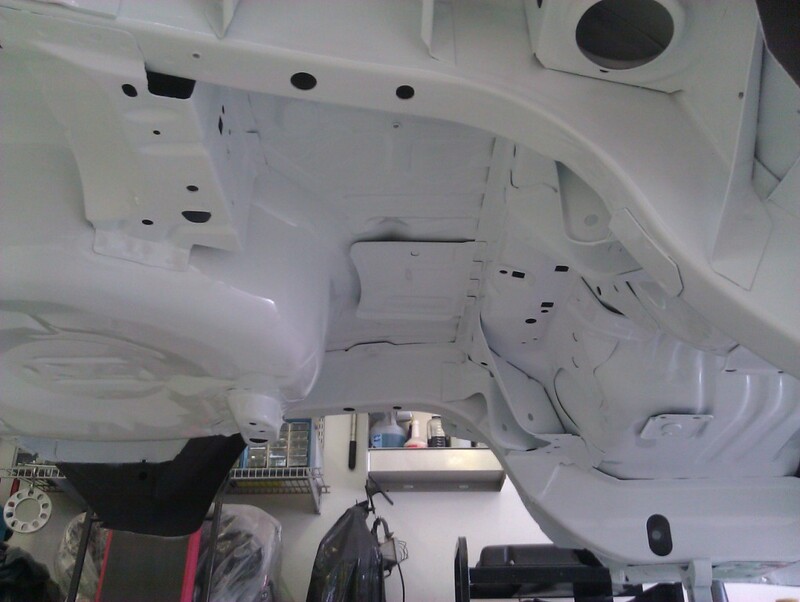 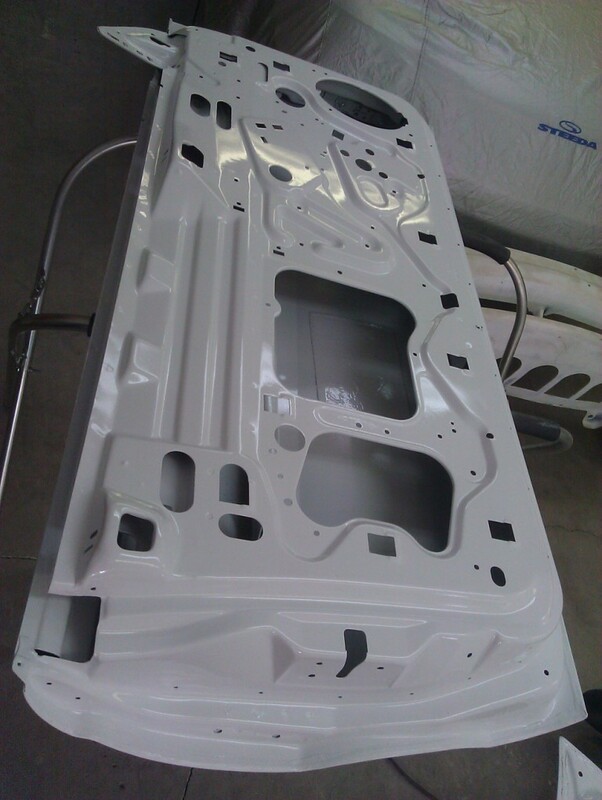 Once under the car, the space limitations and the large suction-feed gun made painting difficult. 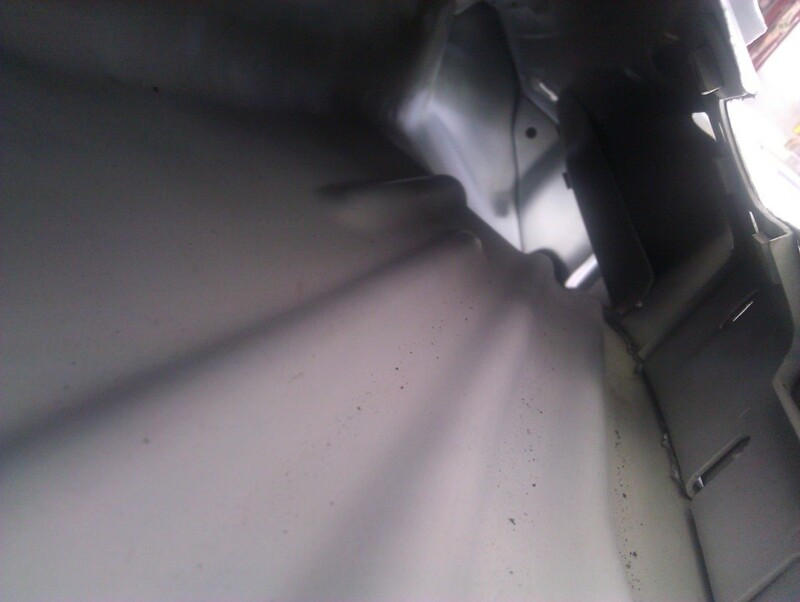 I'll go back to a pressure-feed type if I ever need to spray in cramp conditions again. 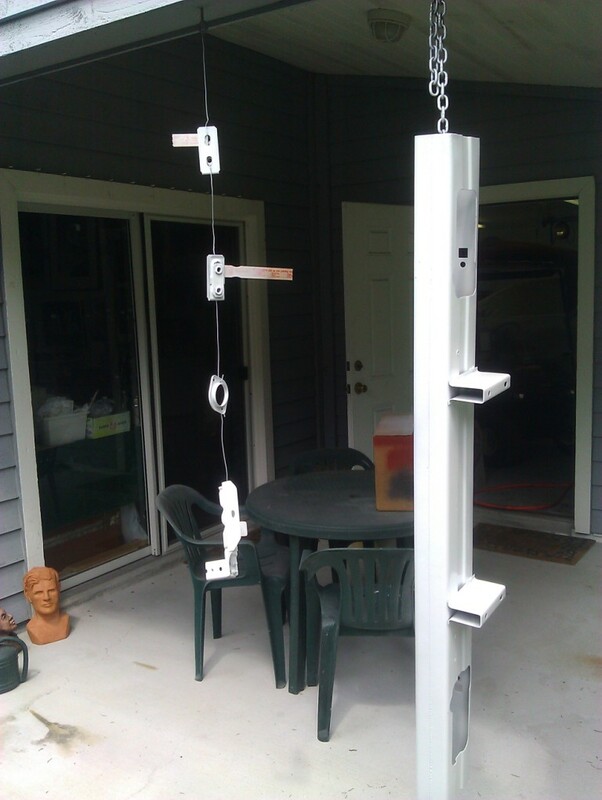 There are a few runs, mainly due to not being able to get the gun at the proper distance due to its size, but no more than were on there from the factory. 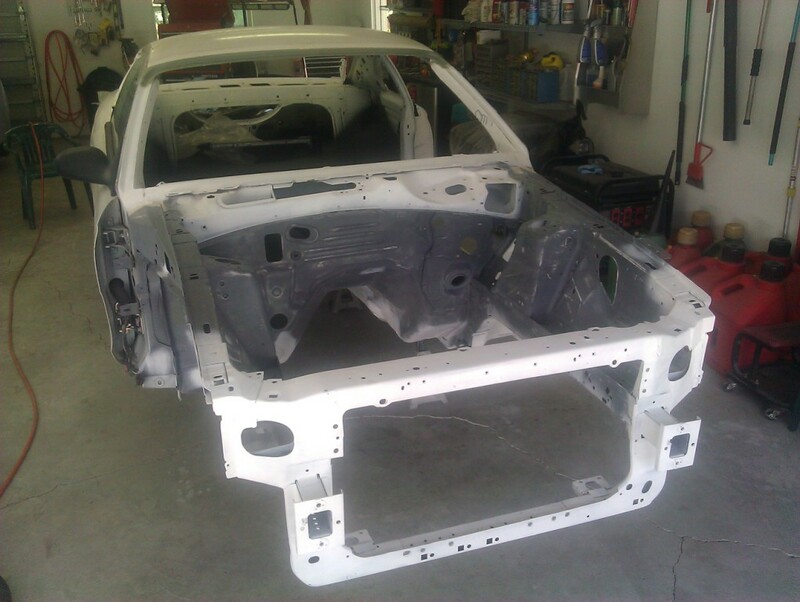 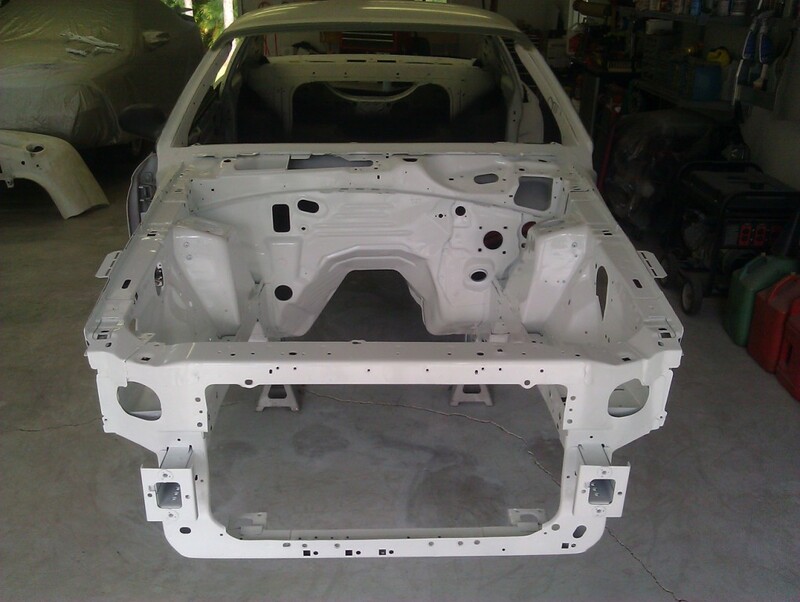 Now I can start to put it back together to make it a 'roller' so it can go to media blasting and the body shop.